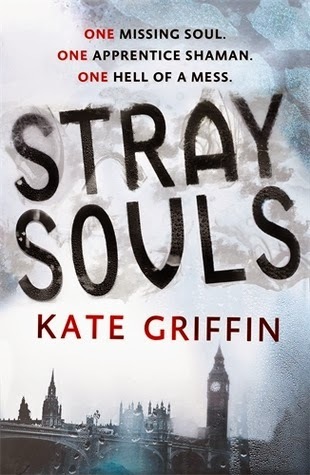 No doubt about it, Stray Souls was a fun, fast read, an urban fantasy exploration rife with British and topical humor, mostly about the self-help movement. Which is, depending on your mood, either a strength or a weakness. Choose your timing accordingly. Sharon is working as a coffee barista at a job she rather hates. She’s been making do, sharing a flat with two roommates and reading self-help books for encouragement. Mantra of choice: “I am beautiful. I am wonderful. I have a secret.” We meet her as she first rents St. Christopher Hall from the vicar, and then opens the inital meeting of Magicals Anonymous. We meet Rhys, an almost-druid with allergies; Kevin, the hypochondriac vampire (not that there’s anything wrong with that); Sally, the banshee who needs to use a whiteboard for conversation (her voice drives humans insane); Mrs. Rafaat, who isn’t at all magical but knows something is wrong with London; Chris, the non-confrontational exorcist; Jess who turns into a pigeons; Gretel, the gastronomic troll; and Mr. Roding, who seems to be aging fast enough to become one of his own necromantic subjects. It turns out Mrs. Rafaat is spot on; spirits are disappearing in London. The Lady Greydawn is missing, and since her role in the city is to help maintain the division between seen and unseen, the gates to the unfriendlies are open. The Mayor of Midnight wants Sharon and Magicals Anonymous to find her and her over-large dog. To do so, Sharon will need to develop her shaman skills under the tutelage of a goblin (the world’s second [or third] best shaman), and Magicals Anonymous members will need to face their individual barriers to take action. Clearly, such a cast of characters is ripe for fun, even if it feels a little like “X-Men: Island of Misfit Toys.” There are two problems with the misaligned alliance, one of which Griffin mostly avoids, and the other less successfully. First, when writing a semi-spoof, it’s a challenge to maintain the balance of funny and tension, especially when your plot line involves evil and murder. For the most part, Griffin successfully balances the two, a rare feat in urban fantasy. A supernatural quad of hired killers and a wendingo in disguise prove frightening, with just a touch of comedic. Second, if care isn’t taken to add character dimension, a composite cast risks becoming stereotypes, or even worse, single-note props. Rhys, Mr. Roding, Gretel and Sally turn out to be interesting people. Jess and Chris are less explored, mostly serving to round out the team, and Kevin becomes the one-note character. I was somewhat annoyed by Kevin’s characterization at first, because it was clear Kevin was supposed to “be comfortable with his sexuality, even if the rest of the world wasn’t,” and really, it was such a stereotype. I became slightly less annoyed as the running joke was framed around vampires/blood, contagion and hypochondriacs, but then returned to annoyed because characterization never went beyond. Much like those skits in Monty Python–funny for the first three minutes, less funny at minute eight and a half. Plot generally moved steadily, and largely avoided wandering off into too many side stories. However, it was sadly compromised by a multi-voiced narrative that included just about everyone in the cast, including murder victims and supernatural killers. The transitions were rough, especially at first, but I was accustomed to it by the end. While narrative switching does serve to help round out characters and perhaps add a little plot tension, it really needed to stick to fewer characters to be more effective and maintain congruity. …which she had no better name for. She stood on the cracked concrete of the yard, and looked up at broken windows, at walls with crumbling mortar, where even the graffiti artists couldn’t be bothered to paint. She saw the yellow lichen flaking off the bricks behind the stair, smelt raw sewage from a neglected gutter, saw purple buddleias sprouting from a crack in the wall. But silly often works. A confrontation with a Big Bad by phone using the verbage of self-help along with a modified ‘pass-the-message’ game had me laughing out loud. Pacing was strong enough that I didn’t want to put the book down, despite the variety of voices chopping the story up into small chapters. Overall, it was a fun read, with re-read potential just to appreciate the wordplay and absurdities. I’ll definitely check out the next in the series.